December | 2015 | Richard M. Hicks Consulting, Inc. 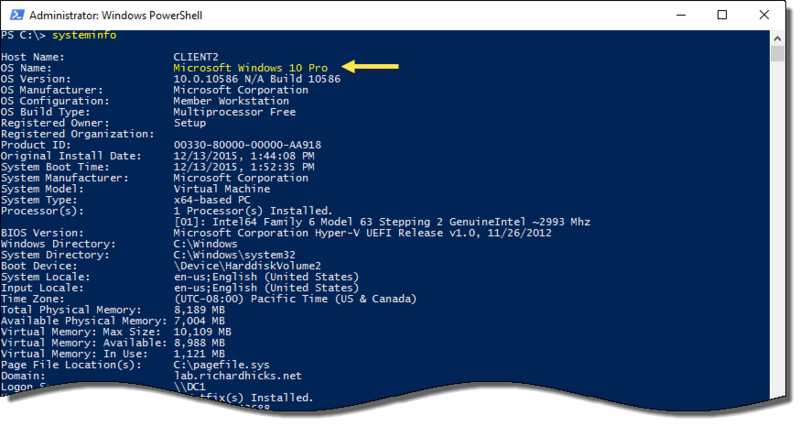 Does Windows 10 Professional Support DirectAccess? This is a question I’ve received on more than one occasion. For some reason there seems to be a persistent rumor on the Internet that Windows 10 Professional is now a supported client for DirectAccess. I’m not sure where this rumor got started, but I’ll put it to rest right now – Windows 10 Professional is NOT a supported DirectAccess client! DirectAccess still requires Enterprise edition (with two exceptions) to take advantage of DirectAccess for secure remote access. The following is a complete list (as of this writing) of client operating systems that support DirectAccess. 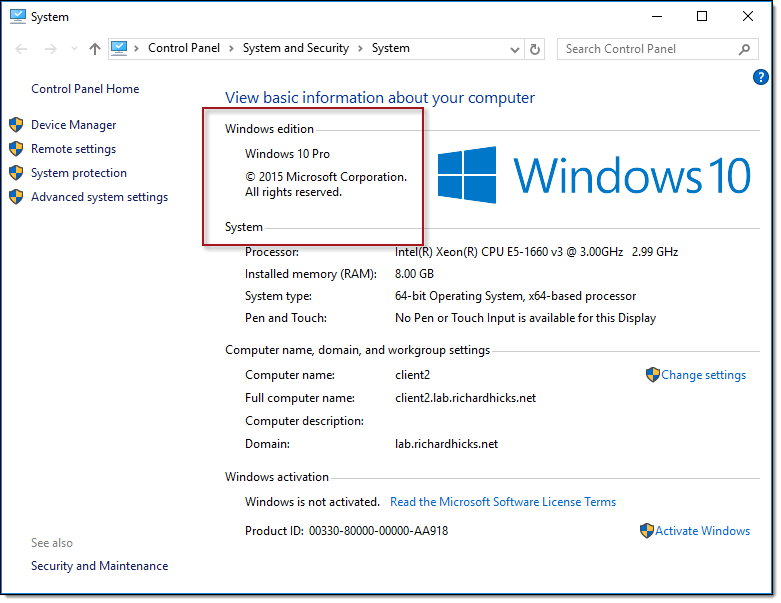 You can verify the operating system SKU by looking at the output of systeminfo.exe or by going to the control panel under System and Security and clicking System. A new feature introduced in Windows 10 allows you to easily upgrade the product SKU without having to perform an in place upgrade or reinstall the entire operating system from scratch. So, if you have Windows 10 Enterprise licenses and you want to upgrade a Windows 10 Professional device to Enterprise (for example you want to enable your new Surface Pro 4 to use DirectAccess!) you can simply provide the enterprise product license key in Windows 10 to upgrade. 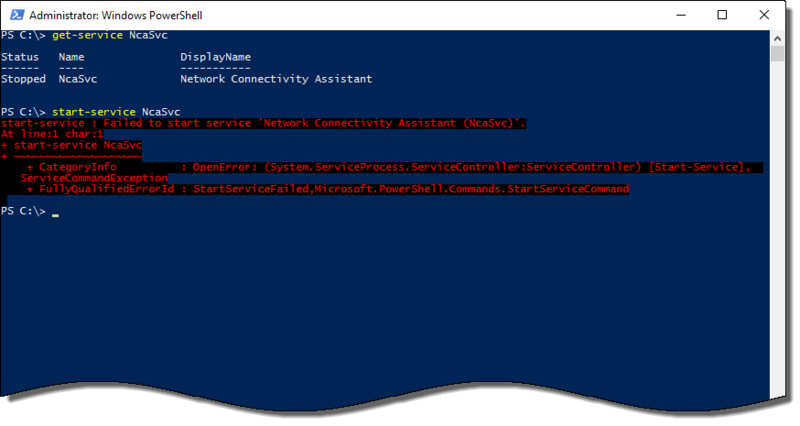 You can provide a new product key by navigating to Start | Settings | Update & Security | Activation | Change Product Key, or run changepk.exe from the Run dialog box or the command line. Enter your Windows 10 Enterprise product key and then click Start Upgrade. After the system reboots it will have been upgraded to Enterprise edition and now work as a DirectAccess client. With Windows 10, it’s easy to upgrade from Professional to Enterprise edition by simply providing the Enterprise edition product key. This works great if you have just a few machines to upgrade, but if you are planning to upgrade many machines I would recommend creating a deployment package using the Windows Imaging and Configuration Designer (ICD), which is included with the Windows 10 Assessment and Deployment Kit (ADK) and can be downloaded here. Once you’ve upgraded your Windows 10 Professional devices to Windows 10 Enterprise you can begin provisioning them for DirectAccess! DirectAccess consulting services now available! Click here for more details! 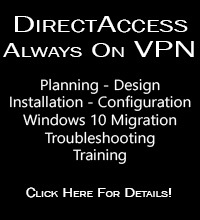 Looking for in-depth DirectAccess technical training? Join me at the TechMentor Conference March 7 to 11, 2016 at the Bally’s Hotel in Las Vegas, Nevada. 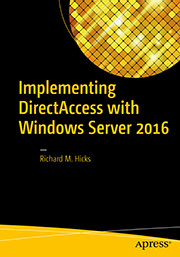 There I will be delivering a three-hour deep-dive DirectAccess training session covering installation, configuration, and troubleshooting of DirectAccess on Windows Server 2012 R2. 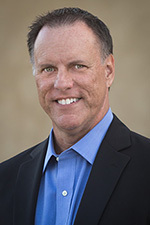 The conference also features many other excellent training sessions by industry experts like Don Jones, Greg Shields, Jeff Hicks, Ed Horley, and many more. Register now and save!